Selecting frames to suit you - Torga Optical - Fashion Eyewear, Spectacle Spectacle Deals and German Precision Lens Technology. Solutions for your visual day! Torga Optical has the perfect frame to suit every face. Your spectacles are an accessory that accentuate your facial features and also expresses your personal sense of style. Torga is here to inspire you to look Your Best and to ensure that you enjoy wearing your glasses. Here are some tips to help you find perfect frames. REMEMBER: Your frames should frame your face and compliment your best features. It’s all about creating contrast in order to achieve balance. Your complexion – creating a little contrast usually works well (lighter frames on a darker skin; darker frames on lighter skin tones, etc.). If you have a pink tone to your skin, you should probably avoid pink frames – similarly with yellow-tones. Darker complexions can look fantastic is bright colours! The colour of your eyes – you can enhance eye-colour with similar as well as complementary coloured frames. For example: blue eyes will work well with frames in warmer colours (complementary colours like sienna, tortoise shell and oranges). But blue eyes also look great in frames that are cooler blue hues. Hair colour – frames that either contrast or ‘match’ the colour of your hair can both work well. Brunettes can generally pull off darker frames better than blondes (but this rule is not set in stone). Pulling your hair up and away from the face can really draw attention to a great pair of frames (especially with temple detail). AND, you can have a frame for work and additional frames for other occasions! Your style – ask yourself: how would I describe the way I dress? Am I conservative, sporty, classic, vintage or outrageous in my dress style? Although, versatility and contrast is good, it is advisable to select glasses that work well with your individual style. But, there’s no reason why you can't have more than one look (and more than one pair of specs!). The shape of your face – certain shapes balance other shapes. Remember, it’s all about using contrast to balance. More angluar frames, for example, will balance out a rounder face. If you have a strong square jaw, oval or rounded frames will soften angles of your face. At Torga there are over 800 frames to choose from. There is a frame to suit each individual’s every mood and all occasions. 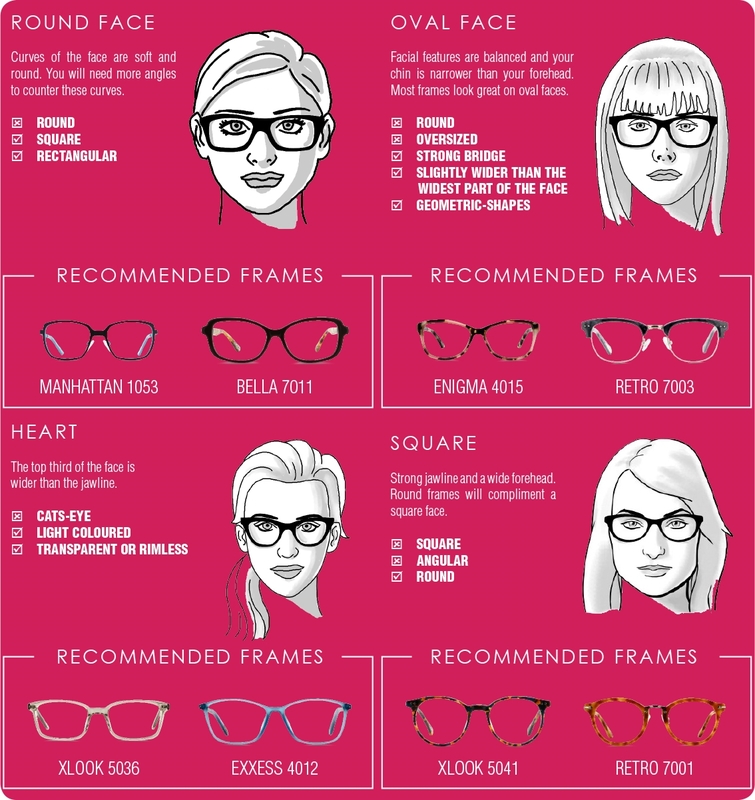 Ask your Torga Style expert in store to advise you when selecting your frames. She has been specially trained to assist you to Look Fantasic in Your Glasses!